Addressing the general issue, Guy Mannes-Abbott, a Green Party candidate in North Walworth, said: “Councillors bringing expertise to the role is welcome and needed. However in this era of major development in London, local councillors must foreswear any development or construction industry role, or related consultancy or communications role – during their term as councillor and for at least one term afterwards. 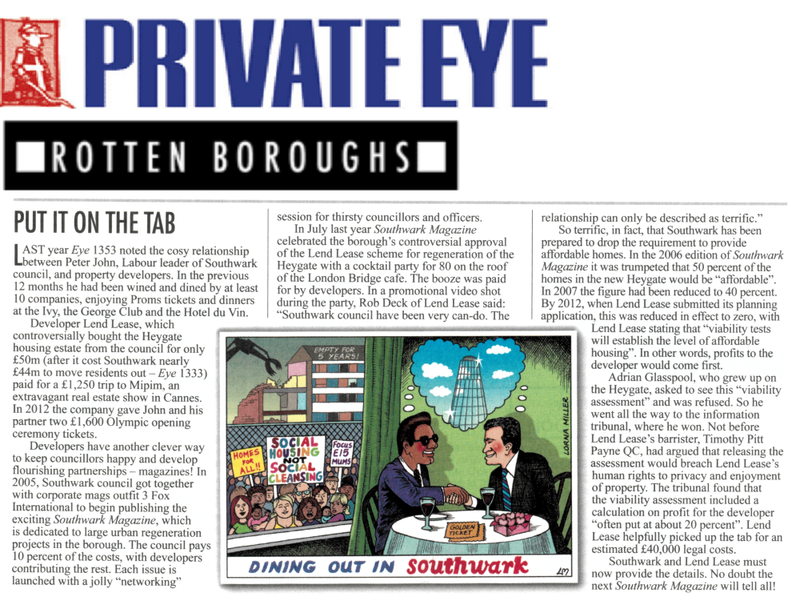 The impression of blatant sleaze it creates is completely untenable, and the reality is hardly different, as demonstrated by the the revolving doors between Southwark Council and developers. Our councillors are still delivering priorities of multinational development corporations above those of our local community.